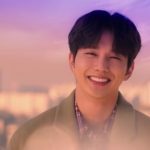 Woo-jin breaks his promise to be honest and share everything the one moment where it counts the most. This bad decision causes the clues that have been stored up to come cascading down at last on those left behind to sort them out. It’s time for the characters to catch up with the rest of us and realize that all of their pasts are tightly intertwined. And this week each must decide whether they’ll let the question of “if only” hold them back, or if they’ll keep moving forward together. 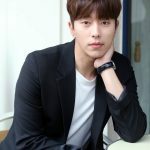 As Woo-jin hears Seo-ri call out Soo-mi’s name at ber friend’s memorial, Woo-jin makes the connection and rushes to embrace Seo-ri, the girl he loved when he was young. Seo-ri can’t understand his actions as Woo-jin thanks her for being alive. But as quickly as Woo-jin’s feelings of relief show themselves, Woo-jin turns cold as she stares into Seo-ri’s face. His hand drops from her shoulder and he curtly tells her to finish saying goodbye to her friend and then walks away. At a bench outside, a security guard asks the park gardener if he’s seen a young man. The guard explains the man looked like he was going to pass out, but the gardener didn’t see anyone. Back at Chan’s school, Ri-an hangs a banner ton congratulate Chan on his rowing victory. The school security guard demands that she hangs up the old banner that she’s torn down prematurely to hang her own, but she picks it up and waves it in his face. “I’m Ri-an,” she tells him, and points to her name on the old banner congratulating her for her first place test score. “I take first place every time. It’s not that interesting.” With that, she scurries away with the old banner. The victorious Chan is still in the hospital, mulling over the nursing staff’s belief that Woo-jin is Seo-ri’s boyfriend. He tries to reassure himself that it’s just a mistake. Even so, he’s ready to get out of the hospital and talk to both of them. The hospital staff, however, are tired of him wandering out of bed and not resting. 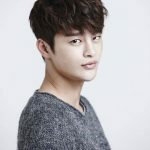 Deok-soo and Hae-beom turn up and help the staff restrain their friend until he has his consultation with the doctor. The doctor turns to his x-rays to show Chan how bad the damage is, but apparently Chan has miraculous healing abilities, because his ankle looks just fine now. Chan hops into the first cab he can for home, without even allowing his friends to ride along with him. They’re quickly consoled, however, with the promise of delicious seaweed soup in the hospital cafeteria. Hyung-tae finds Seo-ri’s hospital bed empty after the confrontation he had with her about Soo-mi. He calls Jennifer to ask if she will make sure to take care of Seo-ri when she gets home. He also asks if Jennifer will meet with him later. The drive home for Woo-jin and Seo-ri is sullen, and Woo-jin makes a point of not even looking at Seo-ri as they head inside. Jennifer welcomes Seo-ri home with condolences and offers her food, but Seo-ri says that she just wants to lie down. Jennifer offers Seo-ri her bed to rest in. Jennifer notes that Woo-jin looks just as bad as Seo-ri does. He plays it off as fatigue from the long drive, but once Jennifer leaves, Seo-ri asks Woo-jin why he hasn’t been able to meet her eyes since their moment at the columbarium. He sticks to his fatigue excuse and heads to bed. Once in his room, he slumps to the floor. Finally, he has a moment to consider what’s been on his mind. 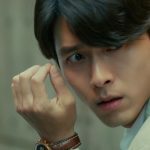 He considers He considers the events leading up to the discovery of Seo-ri’s identity, and even though Seo-ri is still alive, he feels that same guilt, this time for completely derailing her life. He recalls each moment where Seo-ri has felt lost in the world, and every time that someone has pointed out that Seo-ri’s life would have been very different if she hadn’t been in the accident. Woo-jin buries his head in his knees as he cries. Jennifer checks in on Seo-ri, who continues to sleep. Jennifer places a hand on Seo-ri’s shoulder in comfort as she watches over Seo-ri. Chan finally reaches home and is frantic to find Woo-jin and Seo-ri, but Jennifer tells him that Seo-ri has gone to bed. Chan goes for his uncle’s room instead. He takes a moment to steady himself and plaster a fake grin on his face, but when he swings the door open he finds an empty room. Woo-jin has made his way to the storage shed. Here he uncovers the rabbit charm from Seo-ri’s bag that he’s been holding on to all this time. Chan makes his way to the storage shed as well. 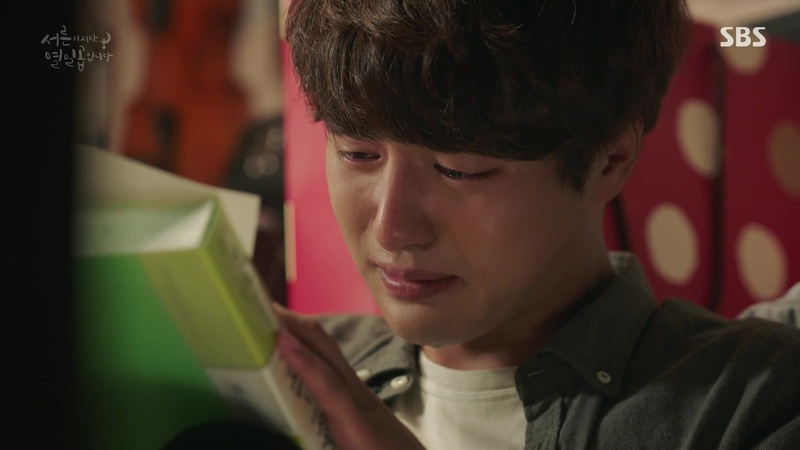 When he calls out his uncle’s name, he’s shocked to see Woo-jin crying as he sifts through the papers in storage. Chan hugs his uncle tightly asks his uncle what’s wrong. All Woo-jin can hear is the ringing of the bell that haunts his memories. Woo-jin trudges back to his room, and Chan now confesses to being scared by Woo-jin’s behavior. Once Woo-jin confirms that Chan’s injury is healed, he is back to dodging the truth and tells Chan that he’s just tired and wants to rest. Jennifer tries to rouse Seo-ri from sleep, but Seo-ri resists and snuggles in to the bed. Jennifer notes the perspiration at Seo-ri’s brow and dabs at it. Chan finally finds some answers from Jennifer, who fills him in on Seo-ri and Woo-jin’s trip to the columbarium and Seo-ri’s friend. Chan understands why Seo-ri is feeling so down, but he’s not sure what it is that’s upset Woo-jin. Chan returns to the storage shed to dig through the boxes, and he realizes that everything is from before Woo-jin moved to Germany to live with Chan and his family. Chan returns to Woo-jin’s room, to find it empty again. Chan begins to panic at his uncle’s absence, but Woo-jin returns from the bathroom just as Chan’s worry begins to escalate. Chan collapses to the floor in relief. Chan explains to Woo-jin how his tears in the shed reminded him of the first time he saw his normally smiling uncle crying after he arrived in Germany. Chan tells him that he’s been so relieved that Woo-jin has returned to his normal self, and he’s now terrified that Woo-jin might go back to the sullen version. Chan refuses to let Woo-jin flee the country again, and goes as far as ripping Woo-jin’s passport in half. Woo-jin’s voice doesn’t rise in anger though, and he just calmly asks Chan if he’ll eat with him. Woo-jin places egg after egg over Chan’s rice. Chan’s still on edge, and he jumps when Woo-jin gets up to go to the bathroom. While the boys are at home, Jennifer meets with Hyung-tae as she promised. He’d like to hear from her if Seo-ri has really been doing well during her time at the house. Jennifer stops him to say that the phrase “if only” makes her sad, because she knows how much people turn to it when they don’t want to deal with a sad reality. Jennifer flashes back to a moment in the past after her husband had died. Meeting with her doctor, Jennifer discovered that she had lost her baby because she had been neglecting her own health while consumed with her grief. Jennifer says to Hyung-tae that she is a person who has been dealing with the question of “if only” for a long time. And that while it makes her sad, she also thinks it necessary to think about to help process things. At home, Chan is on Woo-jin Watch outside his uncle’s door. He’s leaps up to interrogate Woo-jin as he opens his door, but Woo-jin is just headed downstairs to feed Deok-gu. Woo-jin approaches Jennifer’s door just as Jennifer exits. He asks if Seo-ri is still sleeping, and Jennifer says that she seems to be avoiding processing the news. Woo-jin offers to retrieve a change of clothes for Seo-ri to change into when she wakes. The next time Woo-jin leaves his room, it’s to speak with Jennifer downstairs. Chan is again nervous about his uncle leaving his sight, but Woo-jin even offers to bring Chan a hot chocolate. Chan looks at the torn passport in his hands, and with that assurance, snuggles into the couch and closes his eyes. It’s almost five-thirty in the morning, and Seo-ri finally wakes up. Jennifer sleeps on the floor next to the bed. Chan’s eyes open again as well, much later than he intended. He swings open Woo-jin’s door, but again, the room is empty. This time, however, there’s no sight of Woo-jin in the bathroom, or downstairs either. Chan grabs his phone and calls his uncle. Seo-ri sits outside with Deok-gu, calling out Soo-mi’s name as she mourns. She’s interrupted by the ringing of Woo-jin’s phone somewhere nearby. She follows the sound to the storage shed. The door hangs open with the keys in the door. She hesitates, remembering that she’s not supposed to enter, but she spots Woo-jin’s phone behind one of the boxes. As she bends to pick it up, she notices something among the boxes. She picks up Woo-jin’s drawing of her from the bridge. Seo-ri recognizes herself immediately in the image, and wonders how a drawing of her can be here among Woo-jin’s things. Chan intercepts Seo-ri as she hurtles upstairs to ask Woo-jin about the drawing. Chan asks how she has Woo-jin’s phone, and Seo-ri shares the drawing from the shed that has to be of her. She wonders if Woo-jin pretended not to know her or didn’t recognize her. She can’t understand how he could have drawn this, since Woo-jin was in Germany when she was in high school. Chan knows that Woo-jin didn’t move to Germany until the summer, and that before that he was here. Seo-ri says that she’s not sure about the accident she was in, but that it’s known as the Cheongan Intersection Car Accident. The name stops Jennifer in her tracks. Jennifer recalls the first time she heard of that accident. A sobbing young Woo-jin collided with her as she exited a taxi and knocked her to the ground. She waited impatiently outside of the operating room. The hospital turned over the items that had been in her husband’s crushed car, including baby shoes, toys, and a card for her. In the present, a tear slips down Jennifer’s cheek. Both Chan and Seo-ri are concerned, but Jennifer refuses to drop her guard and admit her suffering. Instead, the entire gang head upstairs to confirm whether Woo-jin has left entirely. Chan sighs in relief when they find all of Woo-jin’s clothing still in the closet, but as he starts to close the closet doors, Woo-jin’s old art case drops to the floor. Seo-ri recognizes it immediately from her encounter with Woo-jin on the bus right before the accident. She asks Chan if he has a photo of Woo-jin when he was younger, and he shows her the polaroid of them together. Seo-ri knows now that Woo-jin was the boy on the bus, and she realizes that the pain Woo-jin has suffered with all this time was her supposed death. Seo-ri whispers out, “I think he left because of me.” Chan tries to reassure everyone that Woo-jin can’t have gone anywhere, because he ripped up his passport. But as Chan flashes the pieces, Jennifer points out that it’s an expired one, not Woo-jin’s current passport. At the airport, Woo-jin requests a ticket for the next plane headed far away. He clutches the headphones Seo-ri gave him in his hand. 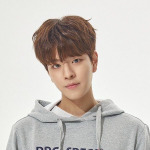 Woo-jin places the earbuds in his ears and tucks the end into his pocket unplugged. The old Woo-jin is officially back. Seo-ri begins to run, and she and Chan catch a taxi headed for the airport. Seo-ri whispers to herself, “It wasn’t a dream,” and recalls a bleary moment while she was in Jennifer’s bed, when Woo-jin stopped in to see her. Woo-jin told her to keep resting, and then gently kissed her forehead, in farewell. Woo-jin now sits aboard the plane, passport in hand. Sweet Deok-gu was the last to see Woo-jin at the house, and Deok-gu howls at the door to protest Woo-jin’s absence. Jennifer finds the worried pup scratching at the bookcase, and when she opens it she discovers a letter left behind for Seo-ri with her rabbit charm. Chan receives Jennifer’s call, and soon Chan and Seo-ri are headed back to the house instead of the airport. Meanwhile, the nurses from Seo-ri’s hospital contact Hyung-tae. The man who has been paying Seo-ri’s medical bills is there asking to see Seo-ri right away. And on the street, a woman picks up the fliers that Seo-ri and Woo-jin sent out looking for her aunt and uncle. The woman recognizes Seo-ri’s aunt’s name, and after puzzling it out, she also recalls the house with the tree where Seo-ri’s aunt used to live. When they arrive at the house, Seo-ri opens the bookcase door and finds her lost charm. She closes the door behind her to read the note by herself. Chan stares at the closed bookshelf door for a moment, and then heads to his own room. He huddles on the floor, head on his knees. “Mr. Gong, I thought you were only going to get me a hot chocolate,” he says, as the tears begin to fall. Seo-ri’s hands shake as she opens the letter Woo-jin left behind for her. In voiceover, Woo-jin tells the story of his one-sided love for Seo-ri. He starts from the very first moment that he saw her on the overpass bridge, “I think the first moment was on my back from the art studio…” He details each moment that drew him to her, her unobservant walks through the neighborhood, misunderstanding the name on her gym uniform, and then that final moment, when he witnessed the accident. Woo-jin’s story moves to the moment when Seo-ri turned up in his life again, and now we see the moments that Woo-jin sat in Seo-ri’s room, tearfully writing this note. Woo-jin allows himself only a moment of relief in his letter, and then he places the blame for Seo-ri’s losses on himself. His note ends with an apology to Seo-ri, for wanting to be near her and for stealing her time from her. Hyung-tae arrives at the hospital to confront the mystery man who was paying Seo-ri’s hospital bills. Hyung-tae asks the man who he is, and the man removes his hat at last and looks Hyung-tae in the eyes. Hyung-tae doesn’t seem to know the man, but I recognize him. It’s the truck driver who caused the bus accident. Chan finds the brief letter of farewell his uncle left behind for him. He heads downstairs to see Seo-ri, but when he opens her door, he finds that she’s gone too, her phone on the floor. Seo-ri has returned to the fateful intersection crossing bridge. She thinks of the moment that she told Woo-jin that this place always brought them good things. “You promised you wouldn’t disappear again,” Seo-ri says to herself tearfully. She slumps to the ground, but looks up when she hears Woo-jin’s voice: “I didn’t leave.” Woo-jin stands before her on the bridge. He hasn’t left the country after all. Woo-jin says that he couldn’t bear the thought of breaking his promise to her. She rises and embraces him, and they both pull each other close. Now that she’s read his confession and their history, Woo-jin apologizes again and again. He tells her how he spent the last day trying to figure out what was the right thing to do. And that while he knows everything was his fault, he can’t leave her again. Instead, he’d like to stay by her side, until she is sincerely happy again. And as Woo-jin’s letter told his story of falling in love with Seo-ri, Seo-ri reveals that she has her own love story to tell. Just as Woo-jin watched her from afar, she also noticed the cute artist playing basketball with his friends (spying on with Deok-gu even). And the crescendo that she drew on the bus window, also for Woo-jin. In the present, Woo-jin and Seo-ri gaze into one another’s eyes, their hands still clasped tightly. There’s so much momentum in the second half of this hour, as clue after clue reveal themselves to the Seo-ri/Chan/Jennifer sleuthing agency dedicated to the case of the missing Woo-jin. After so much set up, this episode was able to deal a walloping punch of emotions with a single heartfelt letter. The urgency that Seo-ri experienced as she discovered the drawing in the shed gave me shivers, and my goosebumps remained in place from that moment on. I love that she tells Chan and Jennifer right away what she’s found, I love that they put it all together at last, and I love that she has a secret piece of the whole picture that Woo-jin never began to expect. But I will say it: Woo-jin’s actions sucked. Even though he redeemed himself at the end in the most amazing way, and even though he’s dealing with serious grief, his attempt at noble idiocy did nothing but hurt those close to him. While the fallout with Seo-ri seems to remain minimal, I suspect that Woo-jin will come home to some real enduring consequences to his relationship with Chan. I think his brief disappearance hurt that much more because we’ve seen so much growth from Woo-jin that for most of the episode, I felt so certain that he hadn’t actually taken off and it was all meant to be misdirection. So my heart sank when we finally saw him at the airport asking for a ticket to anywhere. Thank goodness he made it through to the other side of the panic and came back before that plane took off. That all said, I loved listening to Yang Se-jong narrate that letter. His voice portrayed the lost little boy that has been lurking inside him all of this time in the most heart-wrenching way. 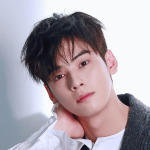 Even though we’ve seen all of the events before, listening to Woo-jin tell it from his perspective, with all of his self-blame and the sparkling memories of falling in love and being crushed… It was beautiful. The focus on Woo-jin’s absence perhaps unfairly stole away from Seo-ri’s own grief. Seo-ri keeps falling out of sync with the world and those in it. After finally feeling like things were evening out, the revelation of who Seo-ri is puts her out of sync with Woo-jin. For Seo-ri, discovering her friend’s death is a moment of intense mourning. Her survival doesn’t feel like a miracle to her, but a betrayal. All the people in the world who have spent time thinking about how Seo-ri’s life might have been different if it hadn’t been for the accident, she feels those same feelings for Soo-mi. And for Woo-jin, this discovery is the ultimate relief (for that initial moment at least). This is the wish at the back of his mind, the “if only” he’s been yearning for, the one thing that could solve everything for him. But of course, Woo-jin can’t let that feeling guide him, and instead allows all the remaining “if only” thoughts to cloud the fact that no one can change the past. Ugh, that moment when Chan discovers his uncle crying in the storage shed was so painful. Woo-jin has been so careful to keep his feelings hidden away from everyone, and this was such a moment of vulnerability. It was such a good moment for Woo-jin, and yet I couldn’t help but feel like it was unfair to Chan. Chan is still young, and he’s been asked to care for his uncle’s feelings first and foremost constantly. Now this means pushing his own feelings for Seo-ri (as unrequited and doomed as they may be) out of the way, even as he suspects his uncle of having the same feelings for the same woman. It feels so unfair. Chan shouldn’t be asked over and over again to be the adult, especially when it means never getting to see his own feelings to their conclusion. Chan kept swinging open Woo-jin’s door and finding the room empty, and Chan’s only assumption is that his uncle has left the country. 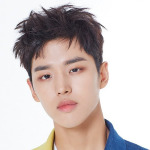 It’s clear that Woo-jin has been selfishly abandoning those who care about him for a long time, so frequently that it’s the first thing Chan assumes about him. I think this may be a turning point in Chan’s affable tolerance. Jennifer’s talk with Hyung-tae was also so important. Sometimes Jennifer feels like the chorus of a play, talking to the audience and keying us in to the main themes of the story. The moment she calls out Hyung-tae for saying “if only” is important for him to hear, but also important for everyone else. Everyone wants to go back and change the past so badly, that they can’t see the good in the situation they are in. Things are complicated, but they’ve found one another. It’s especially poignant because Jennifer doesn’t lecture Hyung-tae so much as she admits that she too is still struggling with this “if only” problem. And many have guessed at it, but finally we know for sure that the bus accident also took Jennifer’s husband’s life. The baby shoes in the car with him seemed just too cruel. Ugh, my heart aches. Hyung-tae’s “our Seo-ri” makes my heart feel heavy every time he says it. At first, I was a little concerned when Hyung-tae basically disappeared from the episodes for weeks. But now, that absence proved itself super effective. Because now you can really feel that Hyung-tae is not part of Seo-ri’s family. Even though he has known her the longest, he’s an outsider. She is not “our Seo-ri” to him at all. Seo-ri’s response to Woo-jin on the bridge gave me chills. We’ve only seen a small, momentary blip of a flashback, but we’ve been anticipating learning Seo-ri’s side of the love story for a while now. Just as Woo-jin knew Seo-ri from afar, she’d been watching him too. And that crescendo she drew in the fog on the bus window? Absolutely aimed at Woo-jin, just as her more recent one one was. I think this really would have been an amazing finale moment. And if this were the last episode, I wouldn’t have to witness all the unavoidable fallout with Chan that’s going to go down. If you don’t see a recap from me next week, know that it’s because I’ve decided to rewrite the show and have left it at this beautiful revelation.